Facebook is the best place for connecting with friends and family on internet. At Facebook we send request and follow other accounts to get in touch with a person. Facebook has lots of greats features which help us to find and communicate with others in a better way. As we already discussed about various amazing facebook tricks. 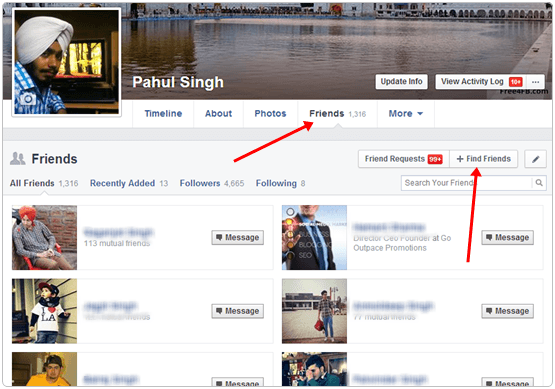 Even if someone has lots of friends and followers on their account they can easily convert Facebook profile into page. These pages having different functionality as compare to personal account. But it is not easy to increase likes until your get popular or viral. But if you are really struggling for likes then my few successive tips to increasing Facebook page Likes may help you a lot. 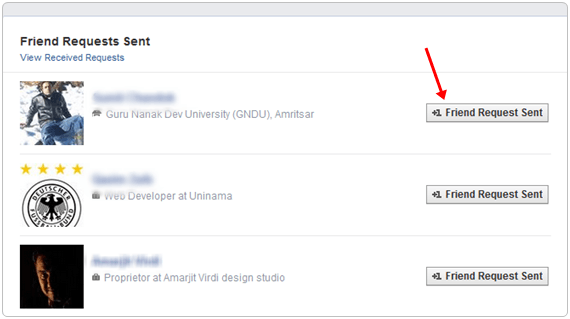 Today we will explain how to cancel or delete Facebook pending sent requests. Facebook has applied some restriction on all the features to reduce the misuse. If you have a lot of pending friend requests, Facebook might consider blocking your requests for sometime. to avoid such a situation, it is advised to clear pending friend requests. So if you want to cancel or delete Facebook pending sent requests then follow all the process explained below. How To Cancel Or Delete Facebook Pending Sent Requests. ? First of Log in your account. Then open your Profile and click on Friends Sections. In Friend section there is an option for Find Friends open it. Now Scroll down there are Pending Received request. Here, you will see an option to View Sent Request. In case you are not able to find then Visit here. List all people will appear whom you sent request and just cancel all of them and you have done it. We hope you like this Facebook tutorial and learned to delete Facebook pending sent requests easily. For any suggestions, and queries, please write to us in comments below.